We want to learn more about your processing needs and specifications to provide a custom solution to increase productivity and profitability for your business. 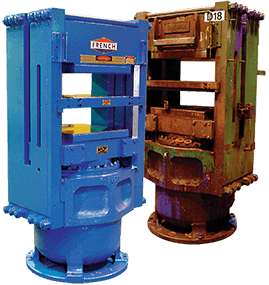 French has a history in screw press designs and fiber press designs for removing liquids from wood pulp fiber for the pulping and paper recycling industries and for other liquid/solid separation applications. We can offer several drive and control systems to meet your specific processing needs. We want to provide you with the most accurate quote based on your fiber press requirements. Please provide us a brief description of the items you will be producing and the materials to be used. If you have more than one file or document you'd like to submit, please email us.